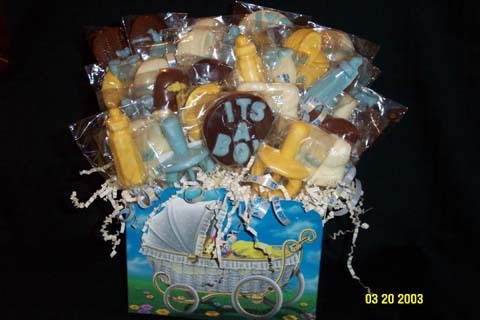 This is a mixture of baby lollipops favors, perfect for a baby shower. These can be made in the color theme of your choice. 20 lollipops included in the centerpiece. Add'l lollipops $2.50/each. It's a girl also available.